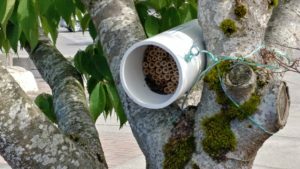 Thank you to EvCC Custodial Services for helping to pilot ways to keep EvCC Sustainable! 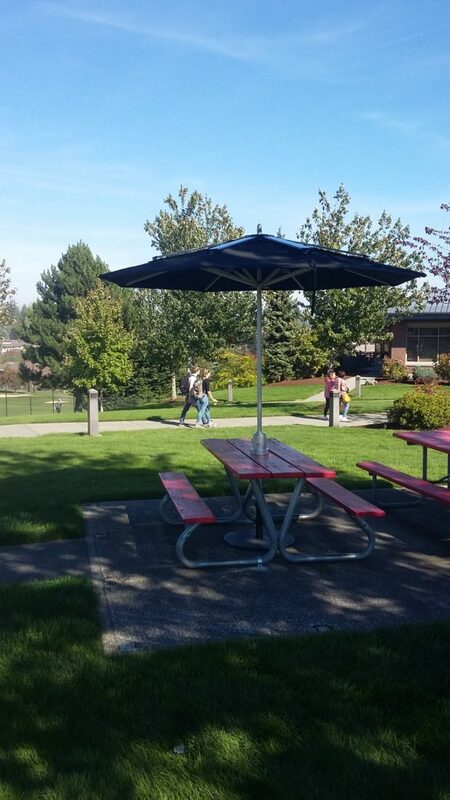 The newest sustainable energy addition to campus comes in the form of a parasol. 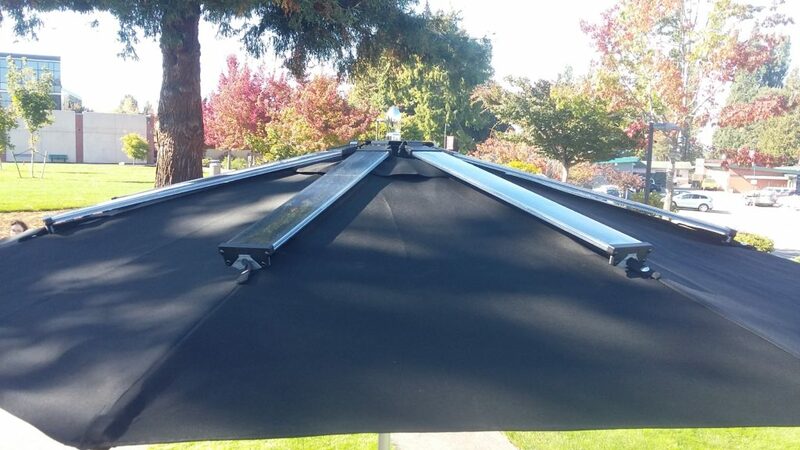 But, this isn’t just any ordinary parasol, as it has several solar panels attached to the top, which feed a battery that sits on the surface of the picnic table it rests upon. 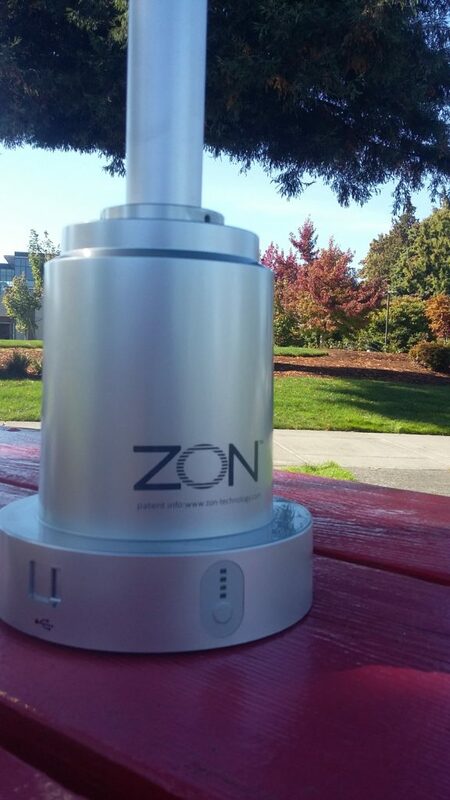 From there, you can plug in any device that can connect to a USB port and charge away – guilt free – knowing that the energy that is charging your device is supplied completely from the sun. Pretty cool, huh? We encourage everyone to use this new piece of equipment, and let us know what you think! The day was Monday, September the 17th. A crowd of spectators, made up of some EvCC students and employees, Everett Transit and City of Everett Officials, even our US Representative, Rick Larsen, gathered together across the street from Whitehorse Hall. What for, you may be asking? 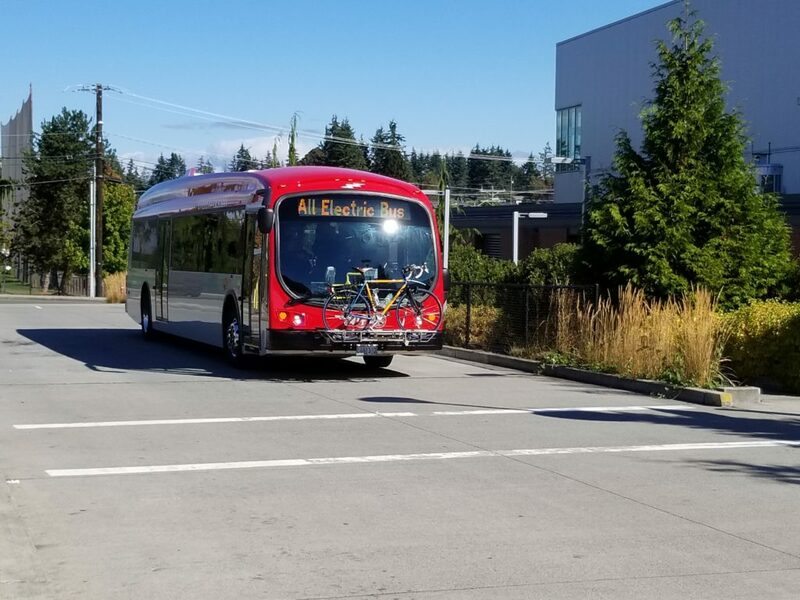 Well, Everett Transit has officially introduced its first ever 100% electric bus, and it was here, at EvCC’s College Station, that they held the ribbon cutting ceremony. The All Electric Bus as it pulls into Everett Transit’s College Station. According to the official statements from Everett Transit, the bus is just one of many more to come. In fact, they plan to electrify about half of their fleet by 2021. All of this is in large part due to a $3.4 million federal grant through the USDOT’s Low or No Emissions Vehicle Program, which was developed to help with replacing old and polluting public vehicles, such as transit buses. 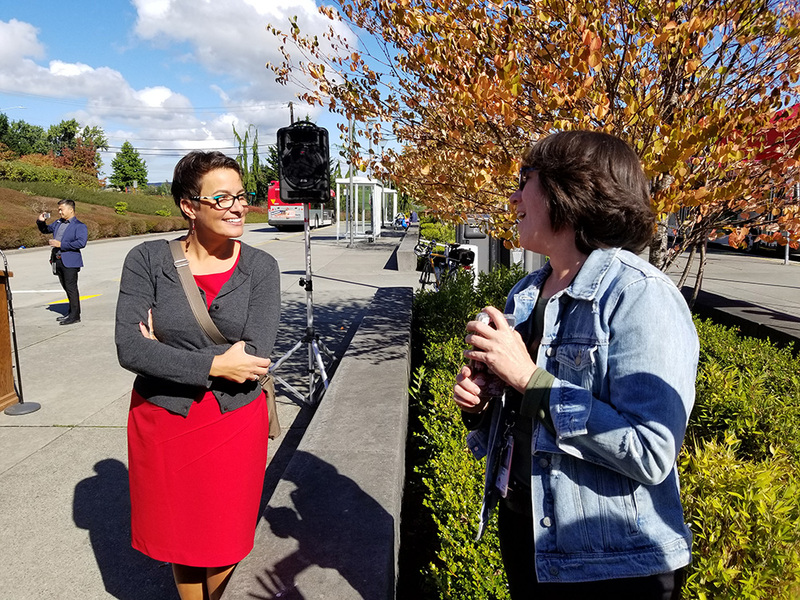 Everett Mayor Cassie Franklin and EvCC’s Sustainability Manager Molly Beeman having a chat. As Mayor Franklin pointed out during her speech at the ribbon-cutting ceremony, by 2022 there will be 18 of these new vehicles, replacing Everett Transits decades old fleet. These new buses wills save Everett Transit more than 10,000 gallons of fuel each year. 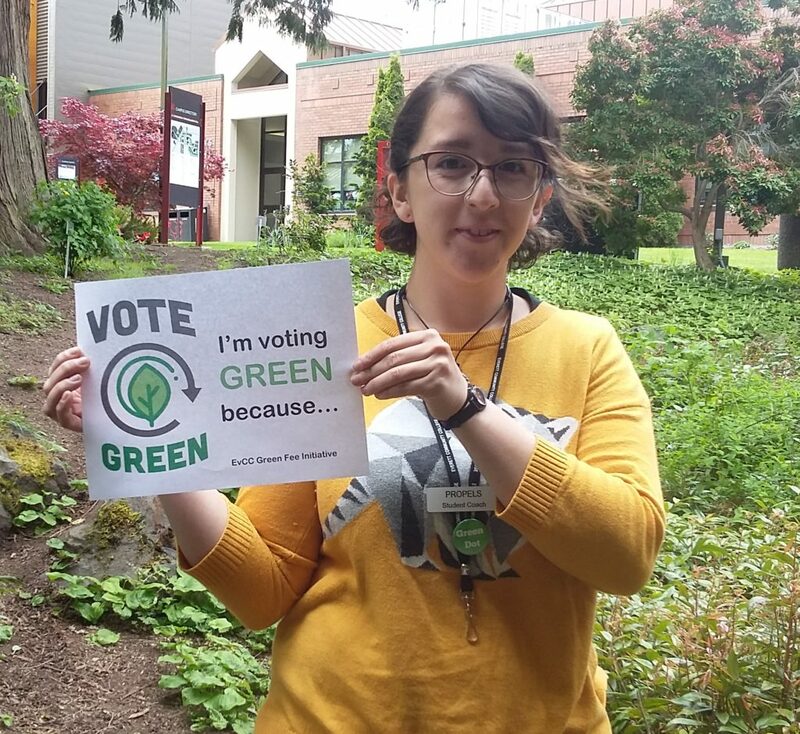 This also reduces the Everett Transit systems carbon footprint by more than 100 tons each year. That’s the same amount of CO2 produced by driving an average passenger vehicle for about 250,000 miles. 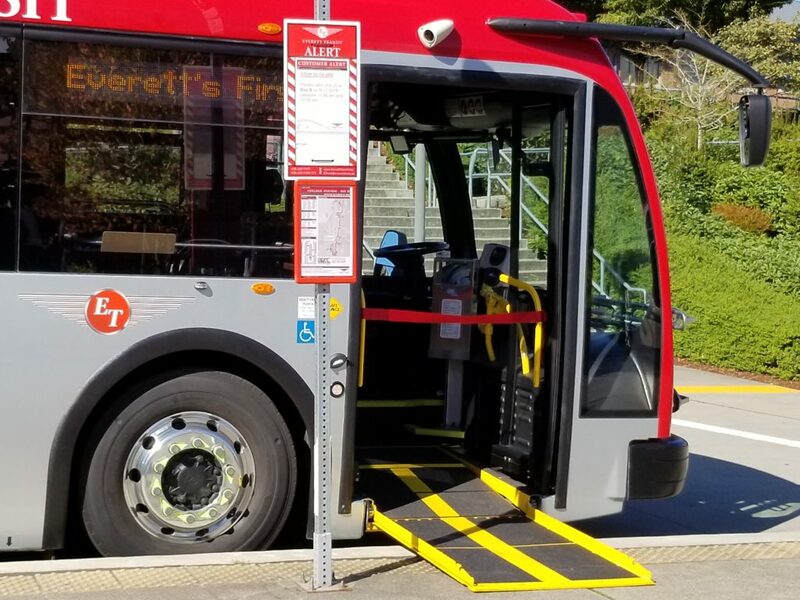 Everett Transit’s first all electric bus with the ADA ramp deployed. 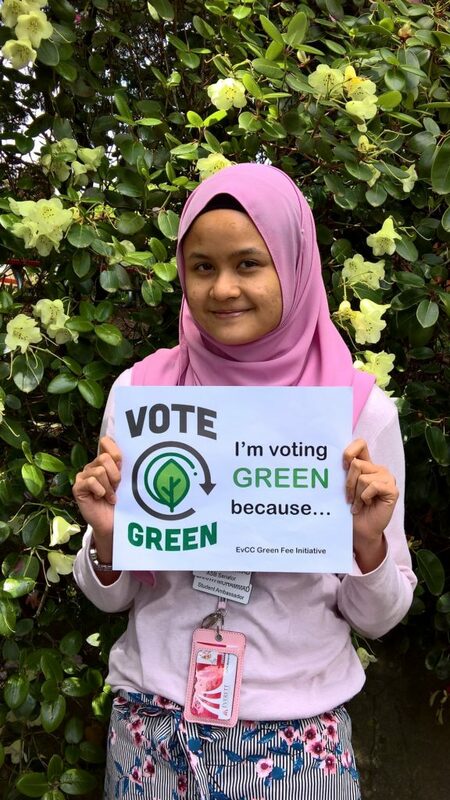 This is a very exciting development that only proves that local governments are stepping up and leading the way toward a sustainable, environmentally conscious future. Campus Sustainability will issue a notice when we receive word that the stations are operational again. Thanks for your patience, and check back soon! 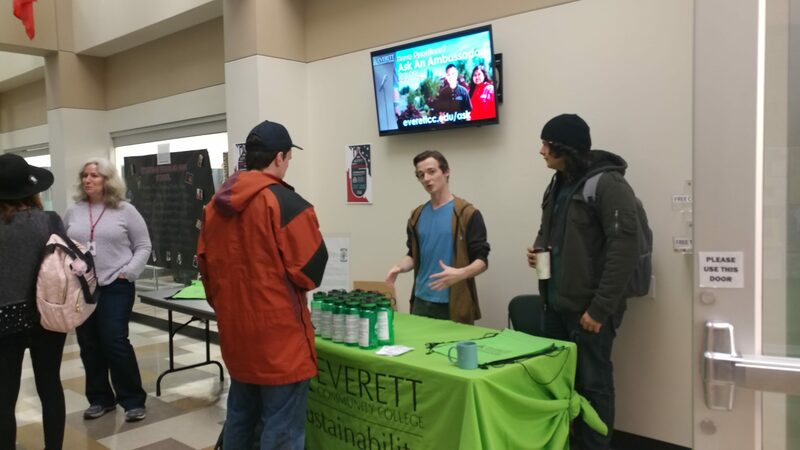 EvCC Sustainability is currently waiting on a quote from the vendor that supplies the Blink Charging Stations. We will provide additional updates as new information becomes available. 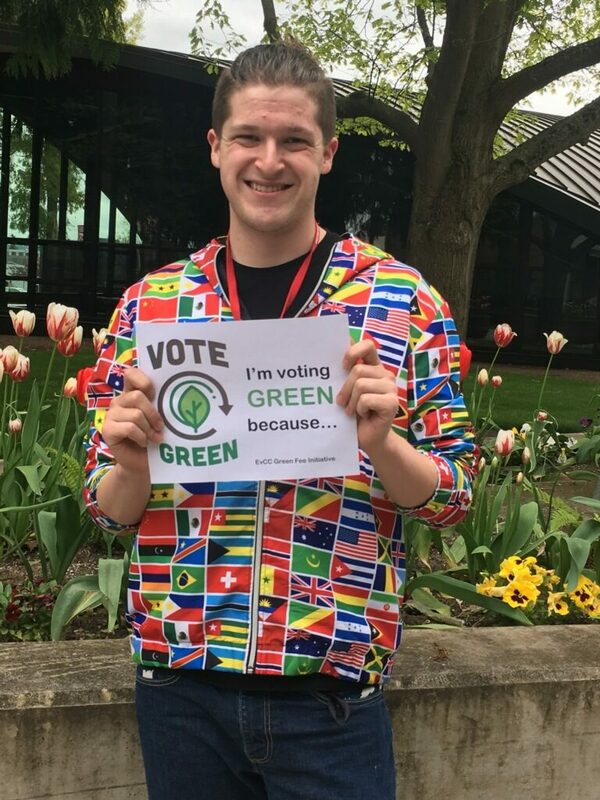 I’m voting green because I believe in funding opportunities for students to become more engaged in sustainability on campus. Thanks to all those who provided a statement. 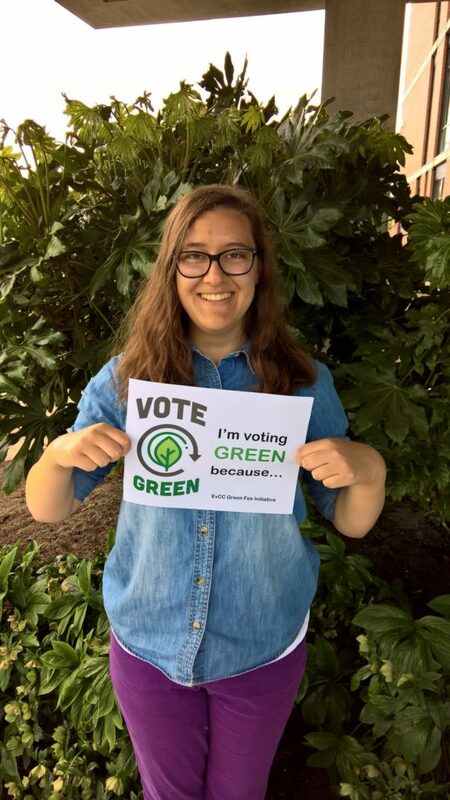 If you’d like to provide one, just email your statement to sustainability@everettcc.edu. Visit our web page for a complete list of statements at EverettCC.edu/GreenFee. EvCC CTR Survey: Who won the Kindle Fire? Thanks to all of our employees who participated in the CTR Survey last month. 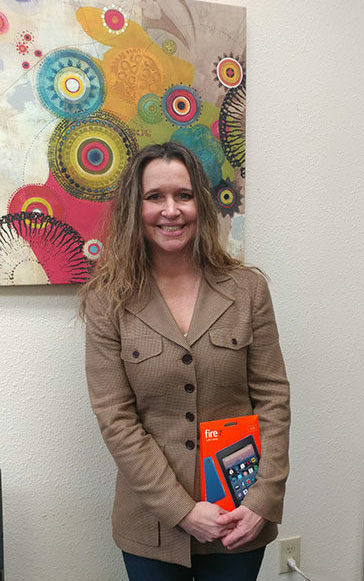 The winner of the drawing for a free Kindle Fire is Erika Smith, an Associate Faculty member from the Criminal Justice Department. Congratulations, Erika!